As Faith No More return to the stage this month we have already seen them return to the media spotlight with several interviews. 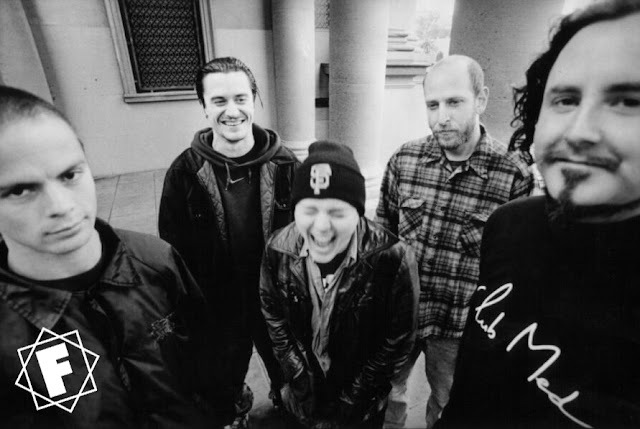 In an interview with Mike Patton and Bill Gould the band spoke about the possiblity of an album to follow 'Sol Invictus'. Dishes Done, Mail Sorted: Time for Faith No More to Hit the Road Again. 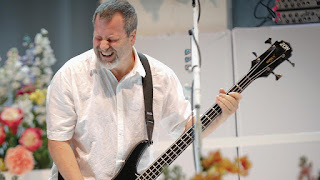 Bill talks about the genesis of 'Sol Invictus' and how Faith No More's audience has matured with the music. The Death and Resurrection of Faith No More. 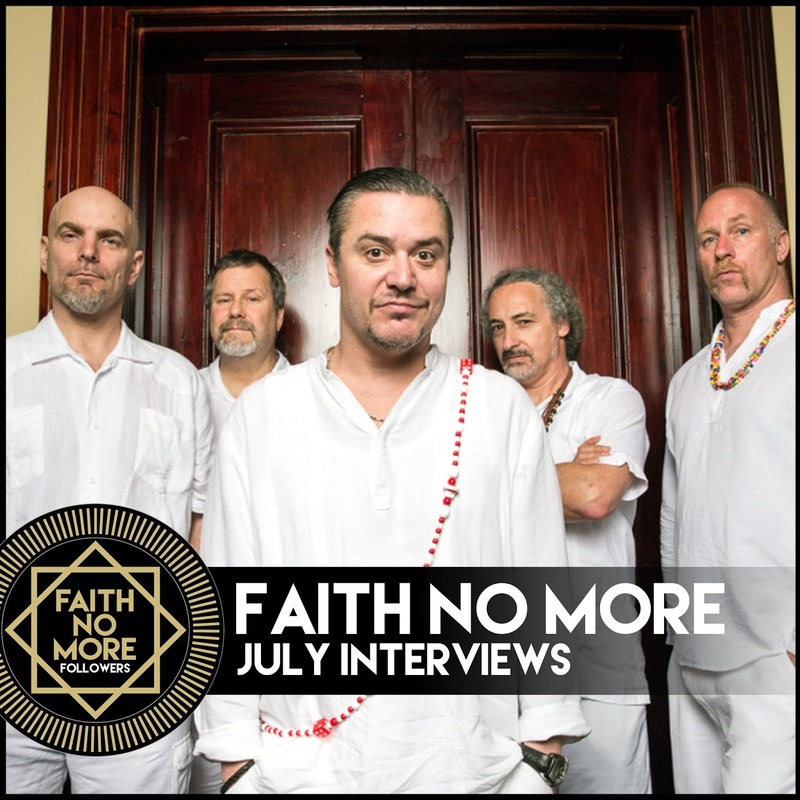 A grande article which spans Faith No More's career, and interview with Patton, Bill and Roddy Bottum. A must read, but here are the best lines. A great interview with in Bill in which he talks 'Sol Invictus' and all things bass guitar related. Faith Restored: Faith No More and Billy Gould Return with 'Sol Invictus'. What motivated you to get back together? People still want to see us live, which always takes us by surprise, and we’re constantly getting offers for shows. We’re not really backwards-looking people, so we figured we might as well get back into our creative spark to put some new material out there for us to play. Had you been writing throughout the hiatus? I never stopped writing. Even during our hiatus, I just kept writing and writing to continue getting better at it. When we got together, I brought in a lot of ideas I had been writing over the years, but we wrote collaboratively in the studio a lot, too. How would you describe your tone? It sounds like the instrument is grunting. People do it with guitars, but you don’t hear it with bass much. Bass manufacturers traditionally go for a pure, low-end to high-end balance, but to me, that’s not really rock & roll. Even if I lose a little balance with it, that’s fine as long as it has the bite. When my bass is growling and grunting, it feels like I am expressing myself through it. What is your advice about recording bass? Pay attention to your arrangement and how you write. Make sure your parts are solid, that they’re in the right place, and that you’re locked in with your drummer. No amount of recording or editing will fix something that isn’t arranged right. Second, make sure that you’re not out of phase, that you’re getting the full signal, and you’re maximizing every drop of your instrument. And third, do whatever you want as long as it feels good. Don’t ever be afraid to experiment. When you step outside your comfort zone, a lot of exciting things can happen. That’s how most of the best music is made. Roddy talks about 'Sol Invictus' and Courtney Love. Why did it take six years to record a new album? At first, all of us being in the same room together playing old songs was a big deal. We did that tour, and more offers came in. Then we played Australia and New Zealand. Then another tour. South America. [We enjoyed] each other’s company [and] playing the old songs. At some point, that became a little bit stale. We decided we were not going to do any more shows unless we had something new to offer. It was too easy to slog around the old songs. So we hunkered down and made a new album. How has the creative relationship among you guys evolved? It is a little more respectful these days. 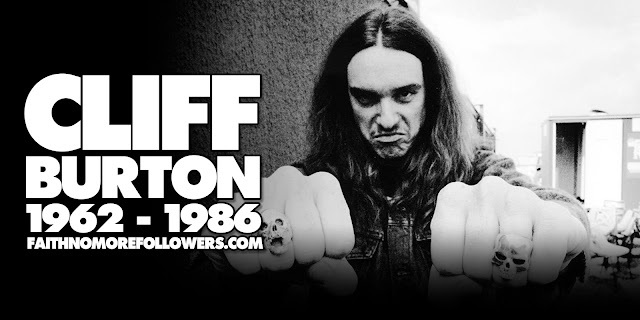 Back when we were making records, it was whoever screamed the loudest got his way. We are now at this mutual respect place with each other. We now sit back and let each other have a place. Everyone brings in ideas, and we collaborate on the ideas. We also are better at making decisions together: what we do, where we play, our stage show. The decisions are made together and pretty clear-cut.